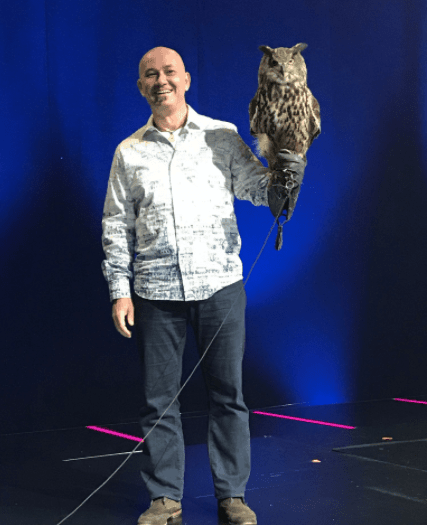 Four days, five keynotes, and more than five thousand attendees; this was LiveWorx 2017 – the Big Show, and certainly my biggest of the WhichPLM On Tour series! 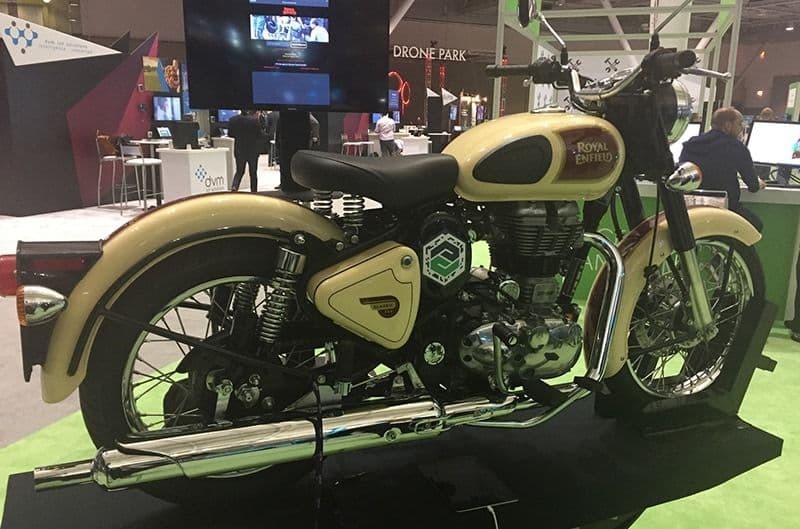 PTC’s LiveWorx took place between 22nd and 25th May, in Boston; the schedule included 230 breakout sessions, 11 talk tracks, 35 on trend digital technology topics (the likes of PLM, the IoT, A.R., and A.I. ), and 84 exhibitors highlighting their latest and greatest work. 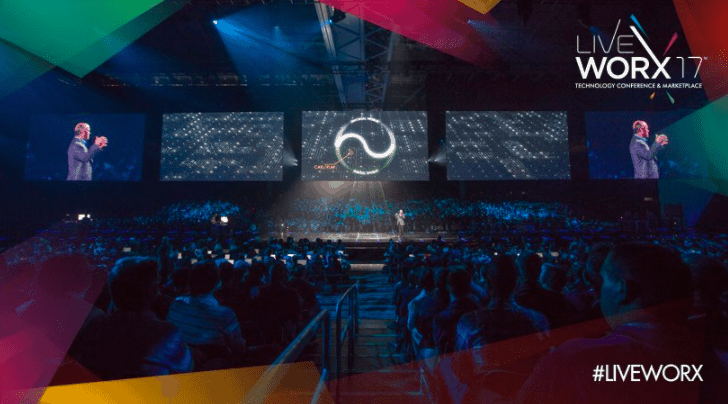 This, coupled with the sheer participant numbers (both live and digital attendees) confirmed LiveWorx as one of the biggest technology events of the year. Attending the ‘premier IoT business event of the year’ were over 5,000 visitors, 100 technology analysts, and various investors and journalists from around the globe. It truly was an impressive gathering. 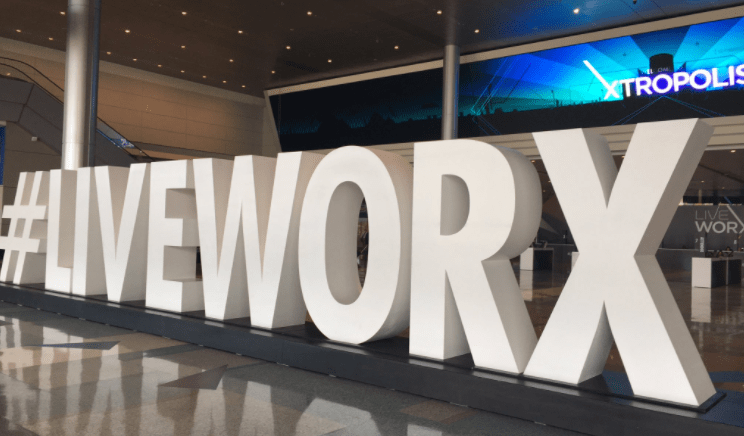 Having attended last year’s event [you can check out part one and part two of my report], I can certainly say that this year, yet again, LiveWorx lived up to the marketing hype. 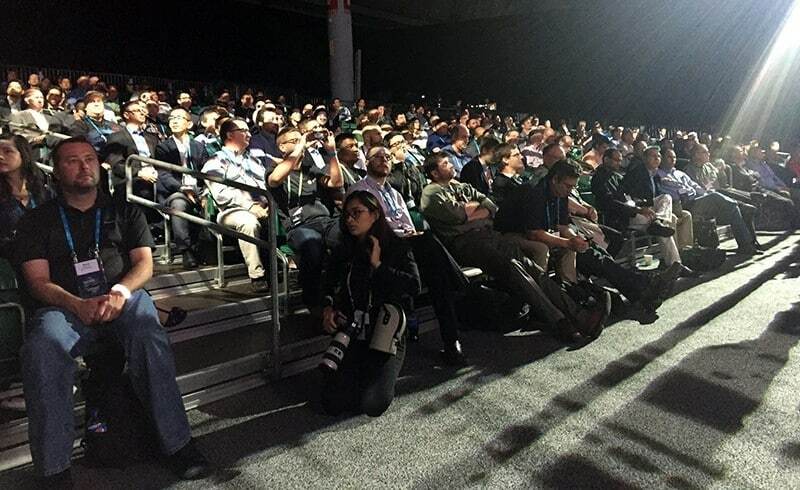 I’m sure, like myself, attendees will look back on the event and say, “I was there when our industries joined the ‘Internet of Things’ revolution”. 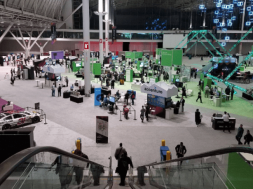 And so, just a few weeks ago, I made my way to the now familiar Boston Convention Centre to catch up on what progress had been made over the last twelve months around the Internet of Things and, in particular, what PLM, the IoT, A.R., A.I. and other digital transformations have come to mean for the RFA (Retail, Footwear & Apparel) sector. This year I was also wearing ‘two hats’ – one as a WhichPLM journalist and the other as a presenter discussing Digital Transformation & Disruption in the Fashion Industry. And I must say that I enjoyed both equally. Let’s begin with the keynotes. To introduce these for LiveWorx was Master of Ceremonies, Mario Armstrong, an award winning TV host, digital lifestyle expert and entrepreneur, and regular contributor to NBC’s Today Show, CNN and NPR. Mario has also appeared on Inside Edition, Dr Oz, Steve Harvey and Rachael Ray. Unsurprisingly, he was the perfect host: energetic, fun, and aware of how to work a crowd. As well as being charismatic entertaining, it was clear Mario was very smart, and able to summarize each of the keynotes’ digital messages from the long list of presenters. Before the first keynote took to centre stage we were given a great dance performance. 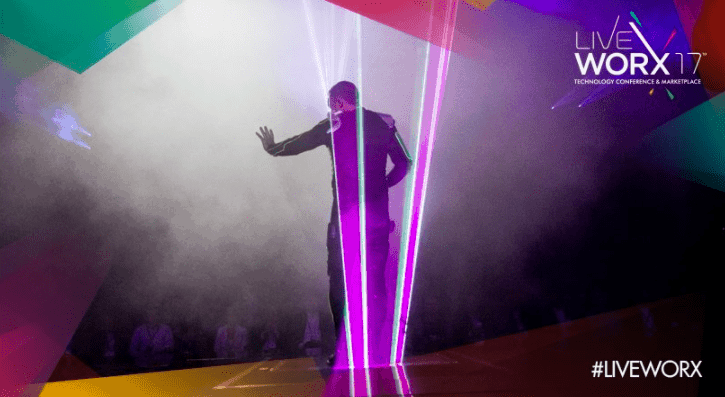 We had been given white LiveWorx wrist bracelets beforehand, which digitally illuminated in multicolours linked to each music beat, supported by the main dancer who used his own laser device. He was accompanied by two groups of dancing robots, each with its own laser pointer. This was a truly Disney-esque theatrical experience that I know really got the audience and event off to an exciting start and added to everyone’s expectations of things to come over the next four days. 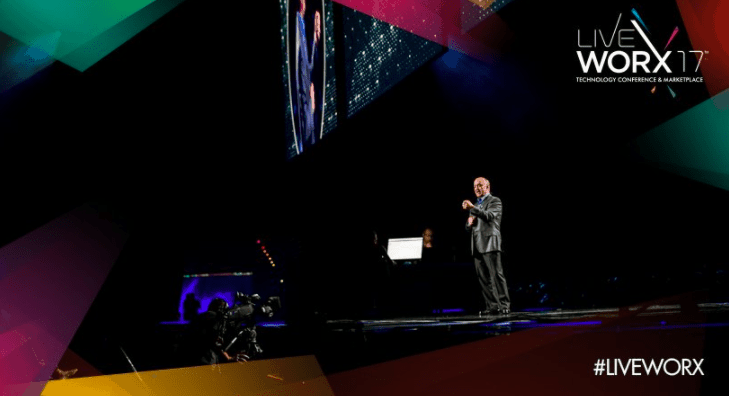 In LiveWorx tradition, the opening keynote was delivered by Jim Heppelmann, President & CEO at PTC. Jim opened the show by asking the audience to take a minute’s silence following the tragic bombing in Manchester that left 22 dead and countless others seriously injured; being a staunch Mancunian, this brought tears to my eyes and a huge feeling of respect for Jim and all at PTC for their caring thoughts and consideration to those affected by this senseless tragedy. Jim was named one of the “7 IoT Leaders to Watch in 2017” by Hewlett Packard Enterprise and has previously been recognized as “IoT CEO of the Year” by PostScapes, “Technology CEO of the Year” by the Massachusetts Technology Leadership Council, and received the “CAD Society Leadership Award” for his work with the Internet of Things. He shared his vision of what we can expect to come from the IoT and used several real-life demonstrations to illustrate the IoT in action, along with 3D, Augmented Reality, Artificial Intelligence and Edge computing that I’m sure made the audience sit up and think of how they might take advantage of the next digital wave that’s already arrived in each of our industry sectors. During his keynote, he also made the point that the IoT was, in fact, “today’s reincarnation of PLM”. I honestly need to think this through a little more, and do some more homework around it, but I’m open and willing to be convinced, given the right arguments. Jim invited the audience to take part in the “new frontier of innovation, unlocking the boundaries of the physical and virtual worlds”. He made the point that more and more businesses are being disrupted daily and the only way for them to manage this disruption is to become “change agents”; these businesses need to embrace both the physical and digital worlds to help them remain competitive. To drive this point, Jim used the famous Yin Yang sign, which describes how seemingly opposite or contradictory forces may actually complement or connect in the natural world. In Chinese philosophy, these forces may give rise to each other as they interrelate; in this case, helping to operate in a mix of physical and digital, removing friction from our supply chains. If we consider this message for the RFA sector, I can think of the 3D fashion digital twin, enabling the virtual world to come together with the traditional world of 2D, (“The way we view the world is in 3D”) sharing the mashups of data along the PLM methodology and the universe of shared solution platforms. This relates to the likes of Industry 4.0 in the E.U, smart manufacturing in the USA, and to the IoT helping to monitor “things” throughout their lifecycles. Augmented reality helps to bring both world’s (the physical and digital) together, operating across our extended supply-chains, sharing holograms of physical samples from Asia and other parts of the world with our internal design and product development teams. The IoT is, in Jim’s words, “tomorrow’s PLM”. Certainly, from my own perspective, I can see how everyone can capitalise on all things digital (PLM, 3D, Virtual, the IoT, Industry 4.0, Smart Manufacturing), and ultimately they should all work together. PLM is going through a revolution with these exciting digital additions of the IoT, 3D, A.R., and A.I. and it’s time to embrace that change. The next keynote I attended was from Nicholas Thomson, Editor-in-Chief at WIRED Magazine, whom I’m pleased to say I had the opportunity to speak with later, alongside a good friend of mine: Tansy Fall, Editor from WTIN magazine. Nicholas is a very charismatic individual and a natural interviewer; he’s interesting and passionate about all things digital and, as expected, eager to learn more of what is happening in the RFA space. Perhaps one day WIRED will do a special feature on ‘all things digital in the fashion sector’? 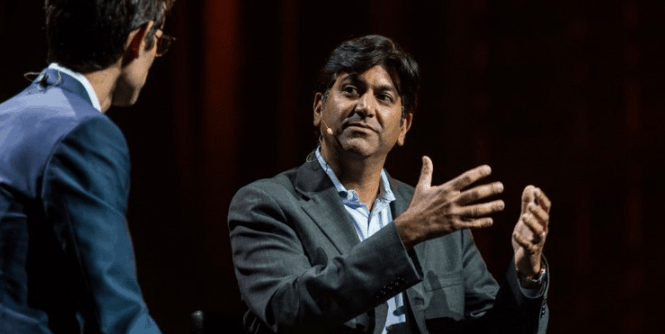 Nicholas conducted his interview together with Aneesh Chopra, 1st Chief Technical Officer of the United States of America. As an assistant to President Obama, Chopra designed the National Wireless Initiative. He helped launch Startup America, and executed an “open invitation” strategy focused on better public-private collaboration as described in his 2014 book, Innovation State: How New Technologies can Transform Government. I really enjoyed the interview and found both Nicholas and Aneesh very captivating. The content was inspiring for any technology entrepreneur and transformation project owner. I wish I had more time to share every detail in this report. Next up for me was Robert Schmid, Chief IoT Technologist at Deloitte Digital. “Mr IoT” (as he’s known to many) shared how his passion for all things digital is truly infectious. Robert shared several new business models that have come to life since the IoT became a reality and pressed home the message that we are at the beginnings of a new revolutionary economy that will help to transform our lives and our businesses. 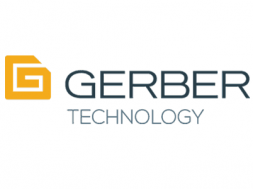 Robert’s time is spent helping companies with their IoT strategies, pilots, investigating new opportunities linked to the IoT economy, supporting on-going projects and alike. He closed his presentation by bringing on stage an eagle owl, to make the point that we are being watched closely! Erik Brynjolfsson, best-selling author & director at MIT’s Sloan School, discussed in his keynote IDE (Initiative on Digital Economy). Eric was amongst the first researchers to measure the productivity contributions of I.T. and other capital intangibles. His research provided the first qualification of the value of online product variety, often known as the “Long Tail” and developed pricing and bundling models for information goods. He discussed the first wave of machines entering our industry (the likes of sewing machines, cutters & spreaders, computers, CAD, CAM, PDM). He calls this the “Machine age” and described the second wave of machines that are learning how to do things on their own, without the need for explicit instructions – what we call A.I. and machine learning. The implications of the next wave will depend not only on the nature of the technology but also on our management decisions, our policy choices and ultimately, our values. As is par for the course with these coverage reports, I’m sorry to say that my time was extremely tight; I only wish that I could have covered each keynote in more detail, but unfortunately I had to budget my time carefully to allow me to get around to those that offered the greatest interest to the RFA sector and our readers. Xtropolis is a LiveWorx staple – a city connected by solutions, inspired by new possibilities. The demonstration area of the technology event was a marketplace for ideas, dreamers, change agents, doers of solutions of the connected world; the perfect place to network and share everything digital. 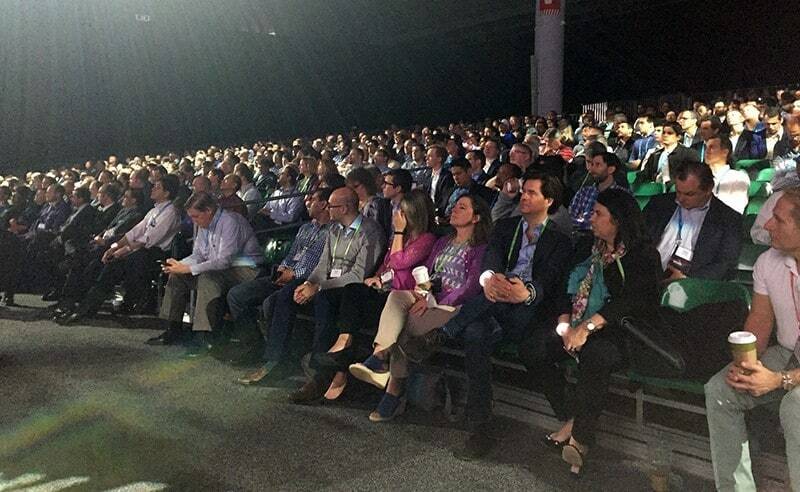 The “playground for grownups”, like myself, was one of the most enjoyable parts of LiveWorx. 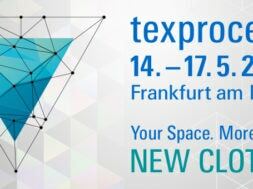 For those of you that have not yet had the opportunity to attend, Xtropolis is designed for taking time out to visit any of the 84 technology exhibitors and inventors and searching out those that might offer solutions for a wide variety of industry sectors – in my case, what might work in the Fashion sector. I had the opportunity to view many interesting presentations, interactive learning labs, and many digital firsts. Like always after these events I find myself researching further over the coming weeks to see what might work for the RFA space, based on the type of use cases and ROI expectations our readers will be looking for, and helping to form some new partnering opportunities across the fashion technology world. These include the future of product design and manufacturing, with everything from 3D, A.R., A.I., and Robotics – not forgetting that they are all (going to be) connected by PLM’s super digital highway! Like in previous years, LiveWorx arranges specific talk tracks for their wide-spread industry attendeed. LiveWorx 2017 increased the number of sessions exclusively for retailers, brands and manufacturers. 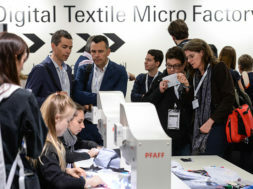 These talk tracks and learning sessions gave retailers, brands and manufacturers valuable networking sessions, learning from those that had already implemented PLM solutions, sharing information and knowhow based upon real-life use-cases using PLM, IoT, 3D, A.R., A.I., Edge computing, Industry 4.0, and smart manufacturing. Retailers, brands and manufactures also gained valuable insights into supply-chain visibility and servicing through PLM/IoT use-cases and after sales marketing opportunities. Our host and moderator for the RFA talk track was Nick Lansley, ex-Innovations Director for Tesco.Nick used several polling questions to help gain and share the mix of people in the audience, including job types, roles, what’s been happening in recent times within the RFA sector and what the audience saw as the key challenges today. Anthony (Tony) DiBona, EVP RFA for PTC, also opened his presentation by offering his and PTC’s condolences for all those involved in the Manchester bombing. [Thank you from all of my fellow Mancunians.] He went on to state that the RFA business sector in PTC is in fact the strongest and continues to grow beyond target. 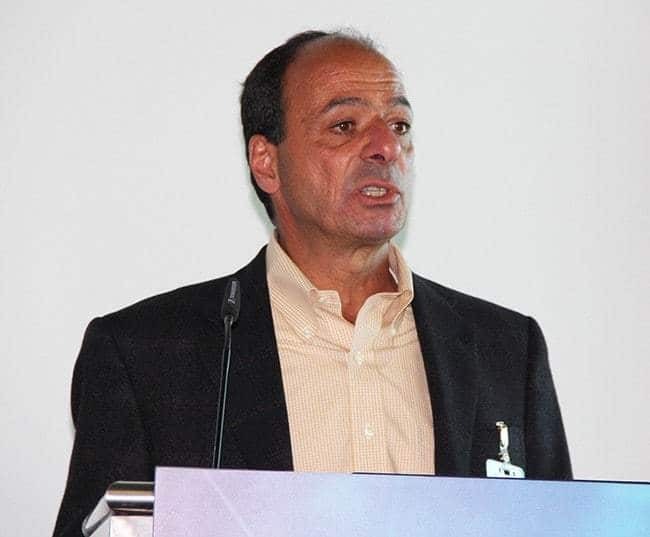 Tony joined PTC in 1998 and has serves as VP for Global Business Partner Group, VP for Major Account Sales, and EVP of PTC’s Global Support Group. Speaking for Retail was Eric Symon, VP & GM of PTC’s Retail Business Unit. Eric began by sharing some of the ups and downs of the RFA sector over recent years and made the point that there’s been a shift for the business to the consumer, and “never has the industry needed to response so fast”. Our industry leaders need to understand that they can’t afford to sit on their hands hoping things will improve or problems will simply go away; the fact is that they need to embrace change and react ever faster. 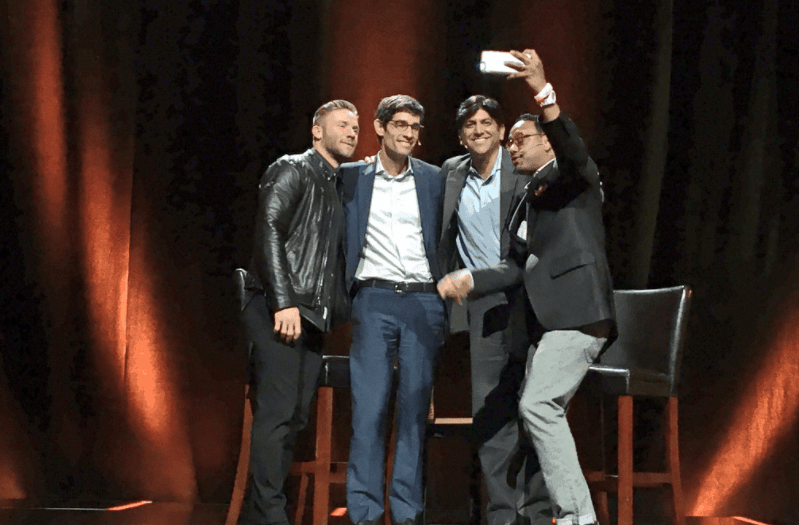 Eric stated that the “need for speed” is now, and they need to come onboard with the Retail Journey 2.0 and update their technology and supply-chains, removing the friction in working together. Yes we have complex supply-chains, but there’s so much that they can do if only they embrace change. Eric invited all those present to help kick-start their retail journeys, by maximizing value and competitiveness through seasonless product lines, personalized products, and transparent supply chains. 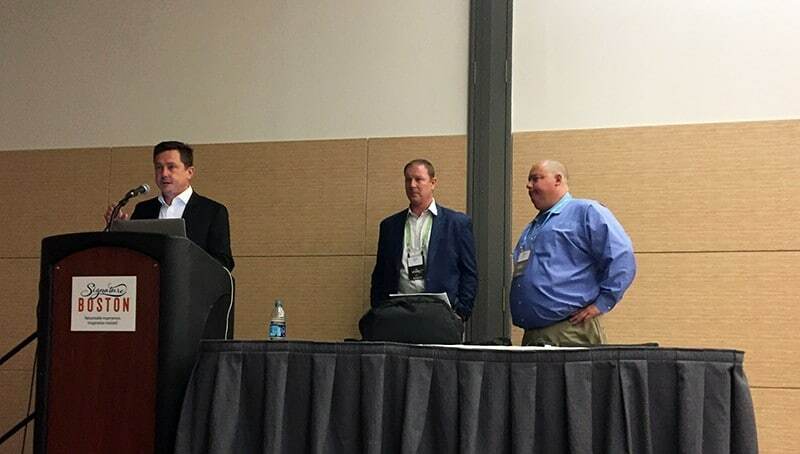 He continued by sharing the key themes from last year’s LiveWorx event – data accessibility, speed, and user experience – as well as key issues facing retail and consumer products, and PTC’s roadmap to overcome them. Also for retail was a lively panel discussion, entitled ‘Leveraging Next-Gen Tech to Develop Truly Trend-Driven Fashion’, with 5 panelists. These five consisted myself, Darren Glenister (VP Innovation, PTC), Monte Riehl (CIO, Sportmaster), Megan Coale (Business Solutions Lead, Vera Bradley), and Jim Shea (CCO, First Insight). The session was a lively exchange between panelists and the audience and moderator, covering the early integration of PLM as part of trend analysis, dynamic real-time design and development, and how customers of FlexPLM can now leverage its latest creative design platform, including trend, digital assets, mood boards and early collaboration with the supply-chain partners. Also covered were implementation success stories, the critical “dos and don’ts” to consider during any implementation such as focusing on the big picture, and starting small and scaling fast! 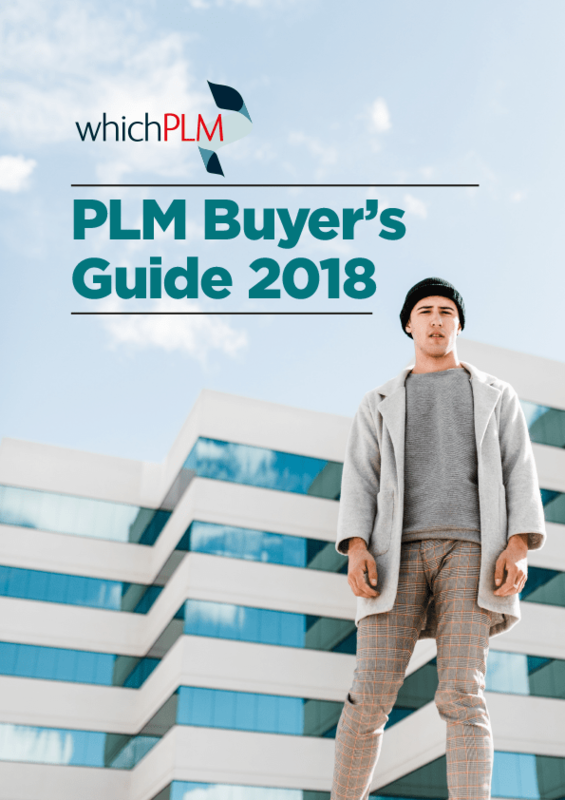 A key discussion topics for PLM was how, as part of a broader digital strategy, it can help bring together supply-chain partners to reduce the friction of communications, and optimization of planning using analytics and dashboards. As well as participating in this panel, I also presented my own session, as part of our WhichPLM on Tour series – that has been to 17 global cities so far, and many more before the close of the year. I started my presentation by reminding the audience that the term “IoT” was coined some 17 years ago by Kevin Ashton. [A full interview between Kevin & WhichPLM is available in our 6th Edition.] The IoT continues to move at an incredible pace with more and more businesses learning how it can be used to improve speed, accuracy, product quality, reliability, product and supply-chain visibility, product authentication, machine connectivity, servicing, automation and intelligence within a business. What I presented was a mashup of all things digital, disruptive and transformational within a “day in the life” of the fashion industry’s extended supply-chain. Brian Silva, Senior Director of IT at Hasbro, presented for CPG (Consumer Packaged Goods) in collaboration with Scott Martin, Regional Director for Retail Consumer Products at PTC. Scott presented PTC’s strategy for using FlexPLM to manage product development data within the Consumer Product space. 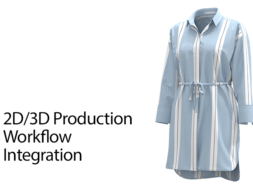 Although FlexPLM is traditionally thought of as an apparel and footwear PLM solution, many current PTC customers design and develop hardline products within FlexPLM and they feel there is also a large market opportunity to extend FlexPLM into the Windchill PDMLink install base. Brian Silva discussed how they are using FlexPLM across a multitude of Hasbro’s brands while also including some Windchill PDMLink usage for engineering. PTC views the combination of FlexPLM’s retail focused data representation with Windchill PDMLink’s engineering and CAD data management capabilities as a truly best-in-class product development environment.Stakeholders within an organization may not be focused entirely on engineering to glean the benefits of Windchill PDMLink, but the line sheet and dashboard capabilities of FlexPLM allow them real-time visibility to all of the product design details. PTC explained how other companies, like Polaris and Harley-Davidson, are using this combined environment and they see enormous potential for other companies to adopt this strategy. Another joint presentation came from Mark Chrystal, Merchandise & Inventory Management Expert for David’s Bridal, and Gretchen Jezerc, VP Marketing & Product Management for First Insight. The duo presented ‘Say ‘Yes’ to the Dress’ in which they shared how David’s Bridal uses the First Insight platform to develop “the right product, at the right price, faster.” First Insight specialize in consumer-driven predictive analytics, used by retailers and brands to identify which products will resonate best with customers, allowing them to make better decisions from the outset. Mark and Gretchen shared how incorporating the voice of the customer into assortment and planning decisions can significantly reduce markdowns and increase margins. 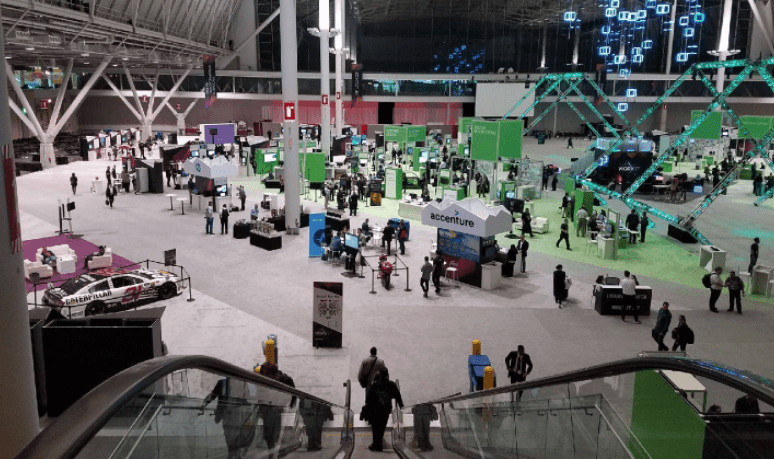 With so much happening at LiveWorx, it’s easy to feel overwhelmed. Kalypso strived to counteract that by building examples of tangible, practical use cases for IoT and machine learning. 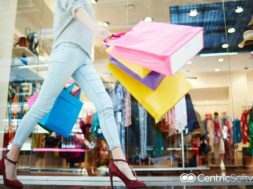 This year, Kalypso’s use case for retailers centered upon leveraging machine learning to better understand what customers want. 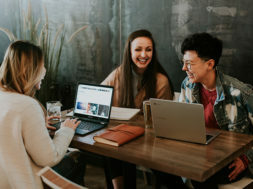 The use case was unique because it used ThingWorx Analytics to analyze PLM product data, transactional data from sales and returns, and external data from additional sources like social media, fashion blogs and other websites, to identify opportunities to better meet customer needs and wants. The use case focused on two scenarios, both geared toward the specific needs of retail product designers, merchants and sourcing teams. First, a trends scenario that analyzed data from the social side – from trend blogs, and social media amongst other areas – to portray how big a trend is, which brands are participating, and how on-trend products are selling, helping a retailer to make strategic assortment decisions about upcoming seasons. Second, a returns scenario that allowed the user to understand why a particular product – in this case, a dress – had high sales, but also unusually high returns. 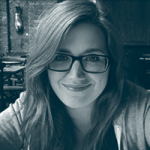 Upon analyzing information from multiple sources, the developer could dig into the root cause of a fit issue – in this case, a low-cost supplier – and take actions to immediately correct the problem. 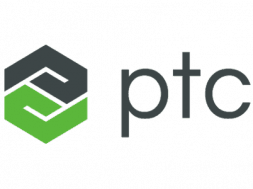 PTC continues to innovate and leads the way in changing the game in how we design, develop, manufacturer and sell “things.” Ultimately, what lies behind this new approach are multiple shared platforms that use data from all of PTC’s solution stack (including partner technologies and platforms) and data generated from it’s many partners, which makes it much easier for all partners not only to share digital content in real-time as part of the transformation journey, but at the same time to analyse (in the Cloud or via the Edge) and learn from the new insights that will come from the enormous data we’ve not been able to analyse until now. Everything is heading down the path of change, offering many new opportunities, but at the same time greater threats to those that don’t keep pace with change. There are challenges along the way for PTC (such as “joining the dots” effectively across it’s existing solution stack and that of it’s customers), it’s partners (new integrations to help fuel PLM under the umbrella of the IoT) and it’s customers in transitioning toward the IoT. PTC also rolled out an IoT solution stack for what it described as “computing at the edge.” Edge computing refers to data processing power at the edge of a network instead of holding that processing power in a cloud or a central data warehouse. There are many examples of where it’s advantageous to do so in the Internet of Things applications, such as maintaining critical machinery that will be used in production – in this case it could be your spreaders and N.C. cutting machines, overhead rail systems or even sewing machines that are all using electronic motors. These types of edge devices can capture streaming data that can be used for preventative purposes like a motor failure or, better still, providing advanced warnings to mechanics and machine operatives of pending issues, or to optimise production, and at the same time to improve quality of the products and greatly reduce defects and material wastage. An edge device could also be found in a retail store that is using a beacon to push in-store incentives to a customer using their mobile phone (provided they’ve opted in of course) as a gateway device that collects data from other endpoints before sending it to the cloud. Looking at the big picture for both AR (Augmented Reality) and IoT technology, both announcements are part of the emerging transition from the IoT hype to a more widespread adoption of a new methodology that will fundamentally change how machines and other devices co-exist together. I’d like to wrap up this report with someone who made the audience sit up and really listen to her story. 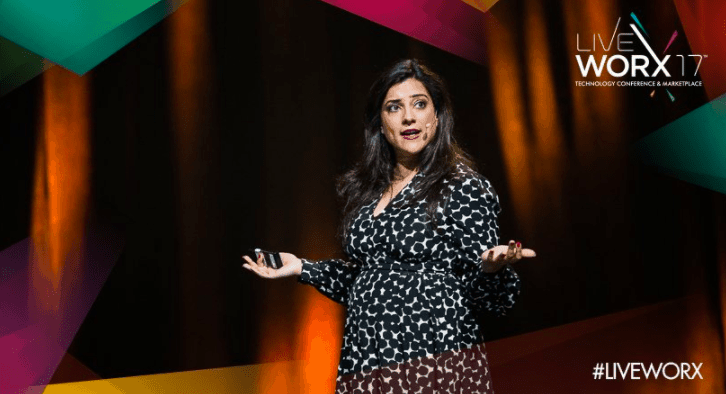 I know from my own feelings and from the reactions around the auditorium that Reshma Saujani, Founder & CEO of Girls Who Code, closed Liveworx on a fantastic note. Reshma came to the USA as an immigrant, and her father pushed her to take risks from a very young age, which in turn helped her to shape her “never say never” attitude and ambitions in life. She calls herself a “serial failed politician” and it’s because of her failures she has gone on to build a national movement in the USA that is changing the conversations for women that are or want to work in technology today. “If you haven’t failed yet, then you haven’t done anything”, Reshma said. 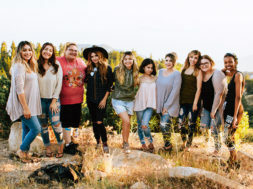 Girls Who Code is a fantastic nonprofit organization which aims to support and increase the number of women in computer science. 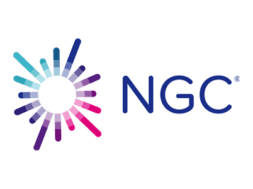 The organization runs summer programmes that teach computing and programming skills to high school girls. 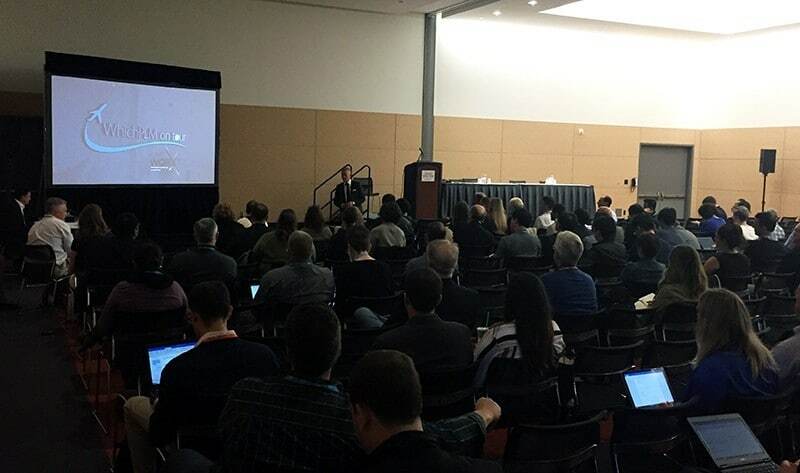 I stated in my coverage of Liveworx 2016 that the idea of servicing and gaining insights from supply chain machinery and equipment is a crucial part of the IoT, Industry 4.0, Smart manufacturing; I’m pleased to say that over the last year we have seen many of the traditional solution vendors, both of hardware and software, start their own internal development and strategies and we expect to see and report on these as the year continues to progress. With the help of these new applications, using a combination of sensor data and augmented reality, service operatives can increase efficiency and reduce the number of machine downtimes and the time taken to service or fix a piece of critical equipment found in almost every supplier factory – material spreaders, N.C. cutting machines, Knitting & Weaving machines – that, if not working correctly, could result in hundreds of machinists being paid for downtime and a retailer or brand missing their tight delivery window. 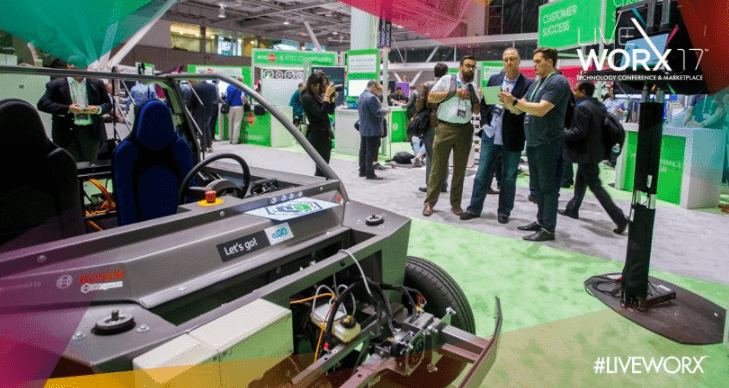 LiveWorx 2017 highlighted many new and exciting ways to harness the IoT; management, vendors and servicers viewed many examples of remote monitoring and analytics to anticipate potential failures and respond efficiently to machinery problems. And not only can the IoT help response time, it can help corrective measures as well, by providing more complete information on the root cause, as well as how to fix it and prevent it from happening in the future. All in all, use of the IoT can help to predict machinery failures before they happen (and even prevent them altogether), enabling remote service, education and giving technicians everything they need to deliver service faster and more efficiently. 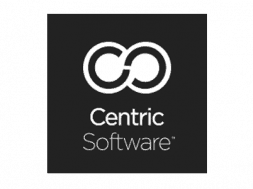 Whilst a great deal of this software is already available (and indeed was demonstrated at the event), there will be a huge number of new applications that will be developed and released in the coming weeks, months and years. IoT (Blockchain) technologies are allowing consumers to authenticate products. Using near field communication (NFC) technology, which works by allowing two devices to communicate when they are in close range, is generally associated with mobile payments such as Apple Pay and Android Pay; however, the countless other opportunities of NFC are still being explored. Brands are just starting to realise the value of this technology in authenticating products and reassuring consumers that they are protected from fakes. This sort of authentication can benefit a range of industries including CPG that rely on quality and often face counterfeits, from wine to pharmaceuticals, from medical devices to luxury goods. Beyond maintenance, just imagine the benefits of being able to know at any point in a product’s lifecycle where it is, from it’s raw material state all the way to it arriving in the warehouse ready to be picked and placed into the retail store!